It's time to sign up for summer wrestling camp! WELCOME TO THE ROXBURY WRESTLING WEBSITE. Once again we would like to say THANK YOU to our sponsors. Bryans Diner who provided the Breakfast for the HS Turkey Run. Please go out and Support the Businesses that support us. 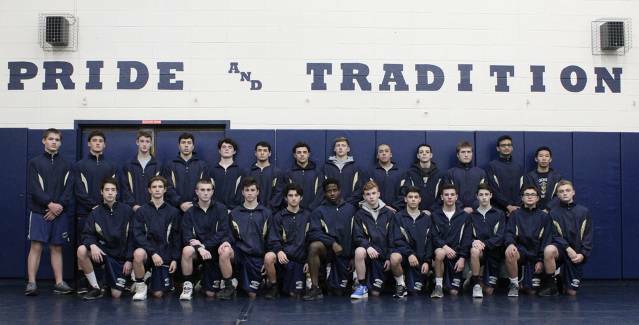 Roxbury Wrestling is steeped in tradition both at the high school and the youth/recreation level. It was previously believed that Roxbury High School started wrestling in 1958. Further research has shown that the first year of inter-scholastic competition was during the winter of 1951-1952. There was intramural wrestling after school in the years prior. That makes Roxbury Gaels Wrestling 60+ years old and counting! The Roxbury Jr. Gaels wrestling program has also been around for many years. The program offers a team for novice (beginning) wrestlers, as well as teams for junior varsity and varsity youth wrestlers. There is also a Clinic program for children in kindergarten and 1st grade. There are experienced coaches at all levels of the wrestling program and all hold Rutgers S.A.F.E.T.Y certification. your strengths and, ultimately, you grow because of what it shows you."